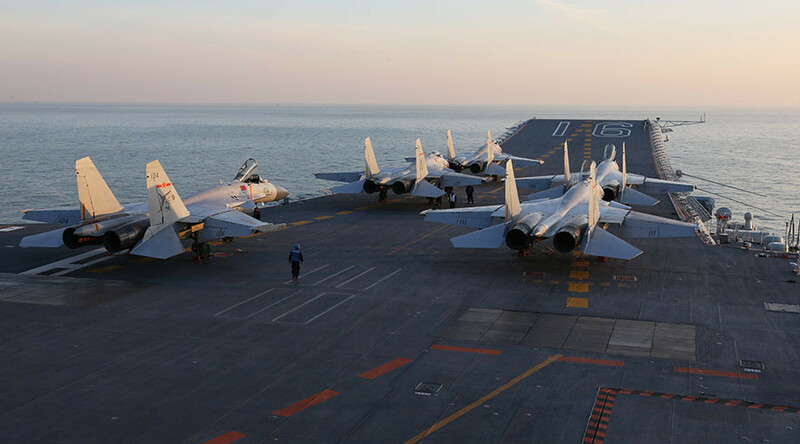 China’s upcoming aircraft carrier, the ‘Shandong’, is to be based near the South China Sea – the area at the center of Beijing’s confrontation with the US and regional neighbors, according to Chinese media. The rationale behind the decision to place China’s first home-made carrier in disputed waters is to increase the country’s military capabilities and readiness to respond to any “complicated situations,” as the South China Morning Post put it, citing Xiake Dao, a social media account affiliated with the oversees edition of the state-owned People’s Daily. The report is “based on existing available information,” and the precise future base of ‘Shandong’ – named after an eastern province – is yet to be revealed. Also under consideration are other possible names for the ship, but ‘Shandong’ is the working title, unless the newly formed Joint Staff Department of the Central Military Commission elects to change it, the Morning Post reports. The carrier will join China’s only other one – the ‘Liaoning’, which is based in Qingdao, northern China, looking at Japan and South Korea. The ship was brought over from Ukraine in 1998. China's rivals in the South China Sea are growing increasingly wary of what they deem to be Beijing’s territory-grabbing in the area. Washington has voiced its anger with Chinese activity in the South China Sea, the region China says has historically been in its orbit. US Secretary of State nominee Rex Tillerson even threatened that Beijing will face consequences if it doesn’t stop its construction in the area immediately. Tillerson went as far as to prohibit the islands’ use by Beijing, but did not elaborate what potential US steps might be taken in retaliation. According to observers, the new carrier is also a signal to Taiwan – which China sees as its integral part – but whose independence has been gaining new traction following the Trump administration’s statements questioning the ‘One China’ policy.